If you’re in search of the sweet life (aren’t we all?! ), we can’t think of a better place to find it this month than at Anse Chastanet. That’s because beginning on December 9th we’ll be hosting our annual Discover Chocolate Festival, celebrating the delectable delight in all its delicious forms. 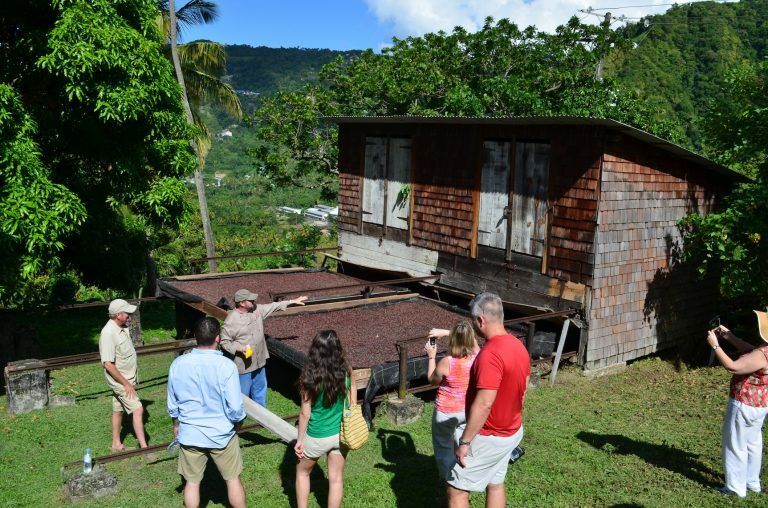 Cacao has been cultivated on St. Lucia since the 1700s, and between neighboring Anse Mamin estate and our own Emerald Farm Estate and there are more than 1,000 trees whose organically grown bounty is harvested to make our artisanal chocolate bars and truffles. 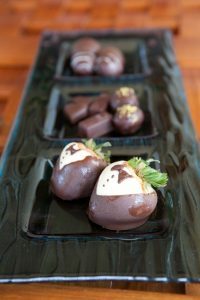 In a series of mouthwatering events over five flavorful days led by James Beard award-winning Chef Allen Susser, Jade Mountain guests will have the opportunity to discover the history of chocolate and how it is produced; taste it in delicious desserts, cocktails, dinners and wine pairings; and even to experience its skin-smoothing properties in chocolate-based spa treatments. Sound sweet to you? Here are a few of the events you won’t want to miss. Click Here for the full schedule. 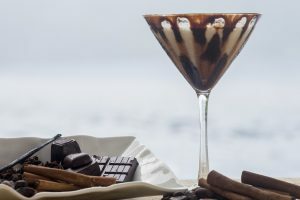 Head up the hill to our sister resort Jade Mountain and join Chef Allen in a toast to the start of the festival with a complimentary Chocolate-tini and delectable chocolate tapas at a cocktail party in the Jade Club. 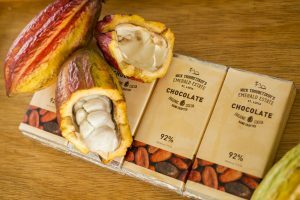 Channel your inner Willy Wonka and learn how to turn your kitchen into your own chocolate factory at this truffle-making workshop led by Chef Kristoff in our very own Chocolate Lab. Bonus: You get to take home everything you make! All roads lead to the Beach Bar where a rum and chocolate mixology class pairs the sweet and the strong with pleasingly potent results. You’ll learn how to make chocolate mojitos and the recipe for our signature and oh-so-sweet libation, the Coco Doux. Wrap up five days of chocolate with the ultimate indulgence: the Chocolate Delight treatment at Jade Mountain’s Kai en Ciel spa. You’ll relax instantly as layers of warm chocolate are applied, melting away stress as it smooths and softens your skin. Our Resort Raconteur is a peripatetic soul, living his dream of traveling the Caribbean more than 300 days a year. He finds no greater pleasure than discovering the experiences, places, resorts and people that make this part of the planet so special. And he has a very special place in his heart for Jade Mountain and Anse Chastanet.